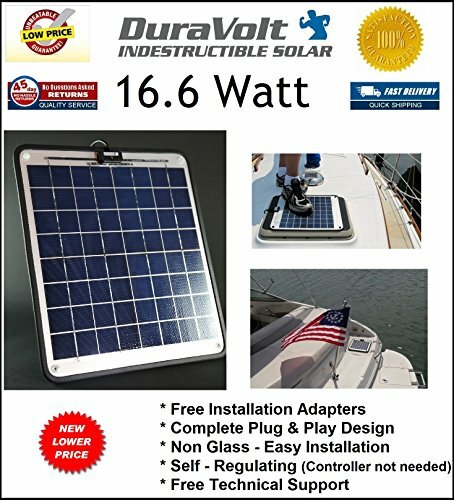 Solar Charger – 16.6 Watt 1 Amp – Boat, RV, Marine & Trolling Motor Solar Panel – Semi Flexible – Self Regulating – 12 Volt – No experience Plug & Play Design. Dimensions 14.1″ L x 15.7″ W x 1/4″ Thick. 10′ cable. NO EXPERIENCE Plug & Play design – Free Adapters Included – Free Tech Support. 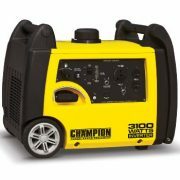 Self-Regulating – Batteries rated 50 Amp Hours or more a solar regulator is NOT needed. NOT INCLUDED – Mounting hardware. Designed in California and Manufactured to the highest of quality standards. Featuring universal “Plug & Play” design. 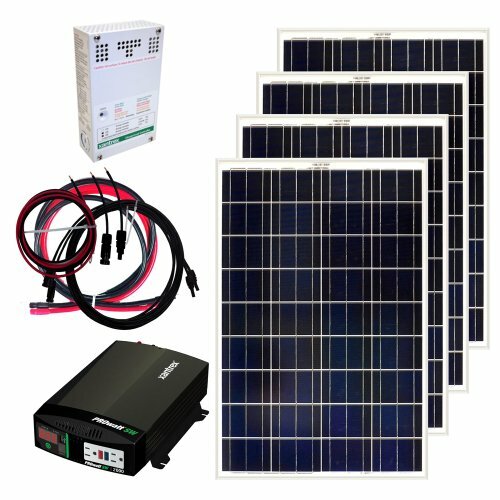 Easy to install without any prior solar experience. Semi-Flexible but NOT Bendable. BEWARE bendable panels can crack the fragile solar cells. Included are detailed instructions and FREE support hotline. 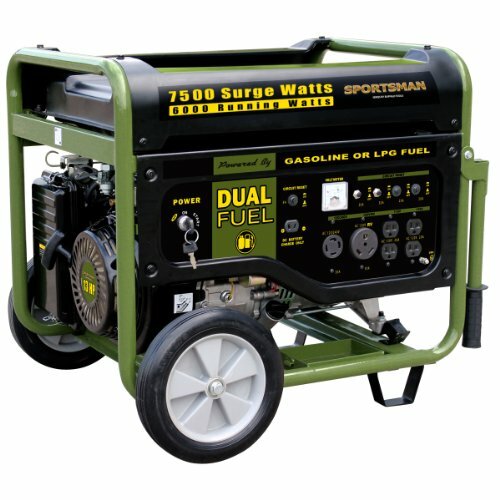 DuraVolts are fully weatherproof and are ideal for boating and camping. They are light weight and feature proprietary “non-glass construction”. —- CONSTRUCTION: An unbreakable plastic film surface with semi-flexible aluminum backing make these panels ideal for mounting on flat or gently curved surfaces. Crystalline cells have the industry’s highest conversion efficiency, providing maximum power while taking up less space. ——– INSTALLATION: Each panel has 4 mounting holes for easy mounting. 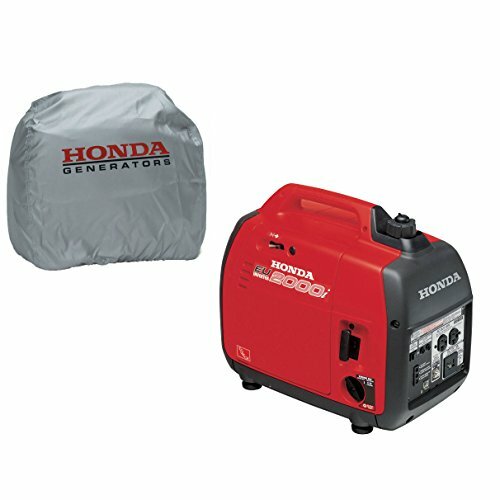 Outdoor rated power cable that connects directly to your battery through the factory installed fused cigarette lighter plug. Power cable is 10 feet long. —- —-INCLUDED EXTRAS: FREE tech support, battery clip adapter and battery ring terminal harness. We guarantee 100% customer satisfaction. 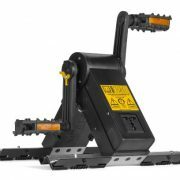 Try the DuraVolt and if it does not meet your expectations for any reason contact us for a full refund or exchange for a different size unit….. 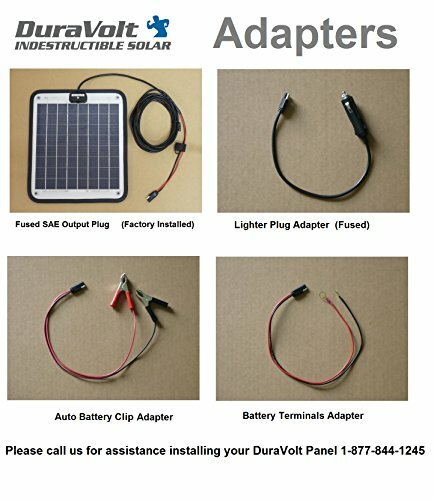 Please contact us if you need assistance choosing the correct Model :::::: NOTE: User field modifications such as cutting cable or removing fused cigarette lighter plug will not void warrantee. —- Low-profile & light weight . 14.1″ L x 15.7″ W x 1/4″ Thick. 10′ cable. 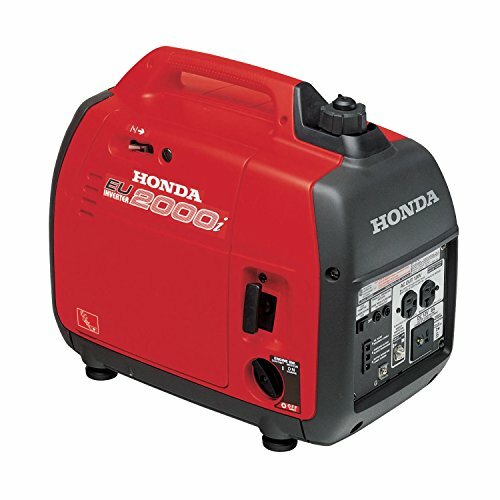 Voltage Regulator (Controller) is NOT needed for 12V batteries. —- OPERATION: DV- 16W Light use – like small lights, TV & radio. Running and charging phones & and other electronics (1-4 people). 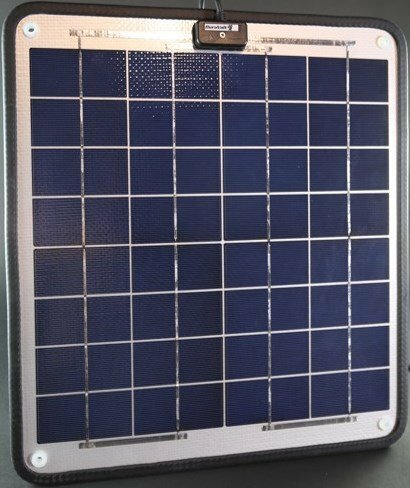 DuraVolt panels are designed to provide reliable solar power for rugged marine and other outdoor applications. Low-Profile & Lightweight Design 14.1″ L x 15.7″ W x 1/4″ Thick. 10′ cable.